Happy Mother's Day! Here are some fun, family, indoor activities for you and your kiddos since it's supposed to be a wet, messy weekend! 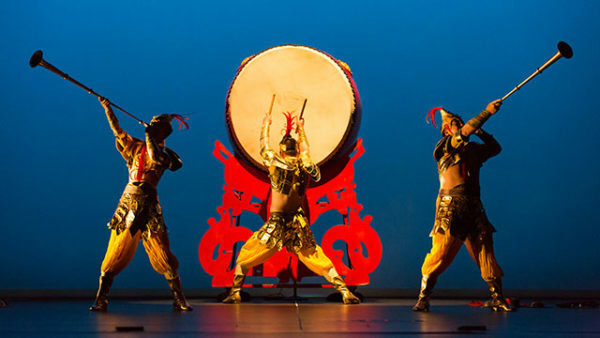 This award-winning Shanghai drum group presents a dynamic, athletic and energetic theatrical drum drama that speaks to ancient Chinese traditions. This high-energy show is based on timeless Chinese proverbs, fables, and fairy tales. Children can make a special Mother's Day craft when they visit the museum today. Separately, families can learn just how New Jersey got its nickname with the museum's current exhibit The Garden State: Living off the Land in Early New Jersey. Check out an odd assortment of tools - from bee smokers to cradle scythes - that 18th and 19th century farmers used to survive and meet a new generation of Garden State farmers who are working to make the distance from farm to table a little bit shorter for today’s families. This week the theme is Elephant and Piggy! The Thank You Book will be read and kids and parents can write postcards to people we'd like to thank. Create your own pizza at this BYOB cooking class. Also on the menu: Ricotta Gelato with caramelized oranges...yummmmmm! On the menu: salad, pizza with homemade toppings and a dessert of choice.